Are there any artists left in San Francisco? 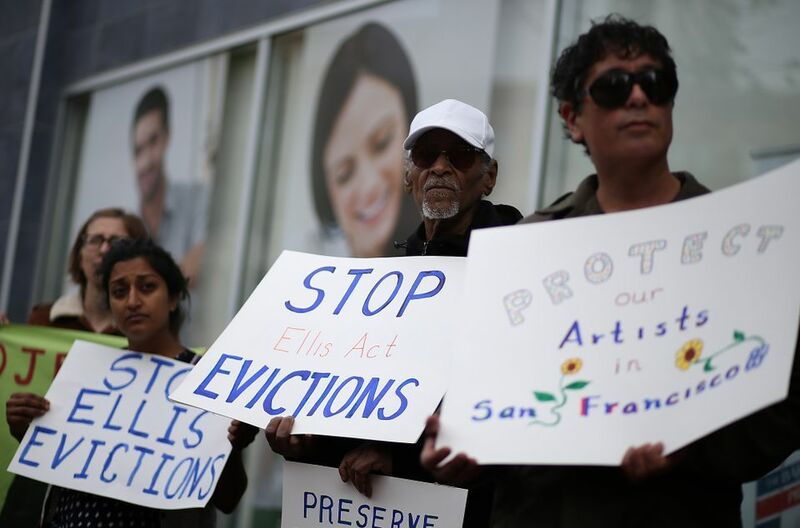 San Francisco’s city government has launched an online census in an effort to find out how many artists and arts professionals have left the city because of rising rents—or just how few are actually left. Rents have shot up by 70% between 2010 and 2016, largely owing to the growth in the area of tech companies, such as Twitter, Uber and Airbnb, and calls for the city to stem the tide have become more urgent. “We hope this survey will give us a sense of the migration pattern of artists, but it’s also going to help us support affordable artist housing,” says Tom DeCaigny, the director of cultural affairs for the San Francisco Art Commission. The effort comes just a month after the sudden death of the sitting mayor of San Francisco, Ed Lee, who suffered a heart attack last December. Lee was a key player in the city’s drastic transformation, pushing for the so-called Twitter Tax Break in 2011, which provided millions in payroll tax relief to tech companies that relocated to the Mid-Market district. After the property market boomed, Lee moved to sustain the arts with a $7m stimulus package in 2015. This increased the budgets of the city’s Cultural Equity Endowment Fund, which supports historically underserved communities through the arts, and its Grants for the Arts programme, as well as the Civic Art Collection and cultural centres. However, some, like the photographer Janet Delaney, fear the funding was “too little, too late”. Lee also failed to support a 2016 hotel tax initiative that would have channelled money to homeless advocacy groups and local arts organisations. That money could have supported the non-profit art space The Lab, for example, which is losing its home in the Mission District after a developer bought the historic Redstone Building. “Mayor Lee seemed like a guy with his heart in the right place, who cared about the local community, but who couldn’t navigate the negotiation with the tech industry,” says the muralist Johanna Poethig, who like many other artists now lives across the bay in Oakland. While there is more funding for city art commissions, Poethig fears that those projects carry greater restrictions and less political content. “It would be great to see a work that addresses artists as an endangered species in San Francisco,” she suggests. The art economy in San Francisco is certainly flourishing. Last month, the Fog art and design fair reported record attendance and sales. Galleries once threatened by the start-ups moving in are starting to look at those tech workers as their clients. In 2016, the San Francisco Museum of Modern Art (SFMoMA) doubled in size with a $305m expansion that made it the largest institution dedicated to Modern and contemporary art in the country. “I can’t imagine the expansion and reopening of SFMoMA without Ed Lee as mayor and his steadfast support over the past six years,” says Neal Benezra, the museum’s director. The question of how the city will deal with Lee’s legacy will largely depend on the policies of the future mayor, to be decided at the polls in June. So far, arts funding is not a major campaign issue for any of the four leading candidates.